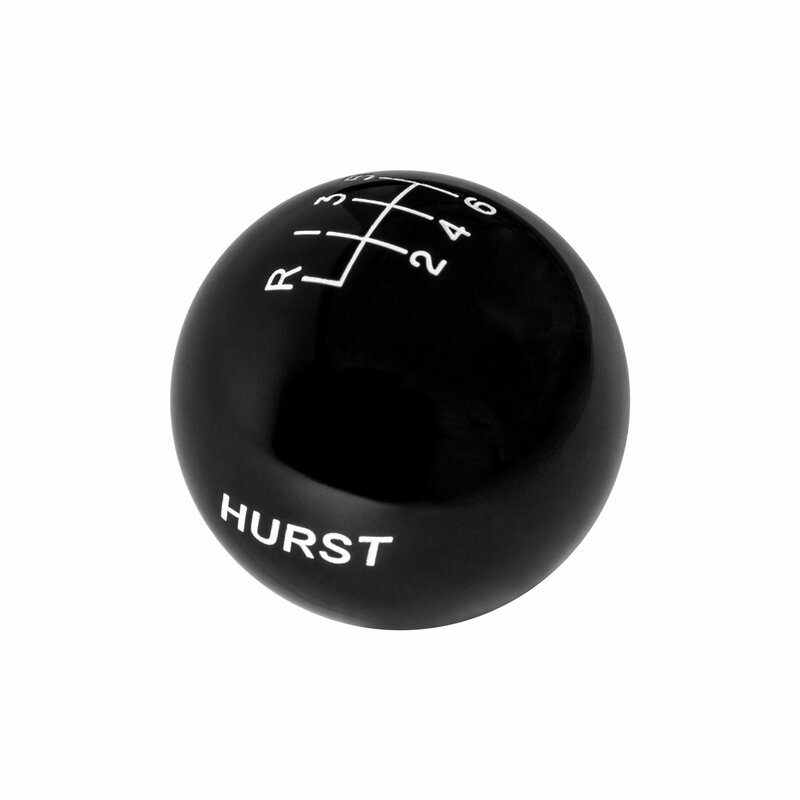 This is a black Hurst replacement shift knob specifically designed for the 2015-2018 Mustang, 2013-2017 Focus ST, 2016-2017 Focus RS, and 2014-2017 Fiesta ST with the factory 6 speed manual shifter. 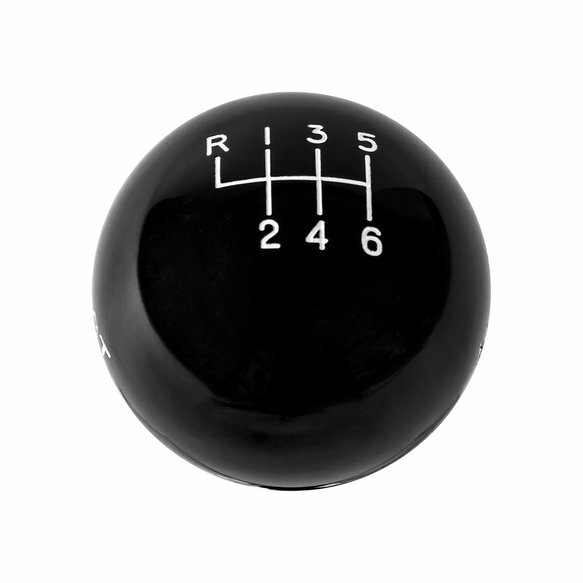 It features a large 2.25" diameter with the factory Ford 6 speed shift pattern engraved on top of the knob, along with the Hurst name engraved on the sides and has a large pocket at the bottom to accommodate the factory reverse lockout button. Made in the USA.